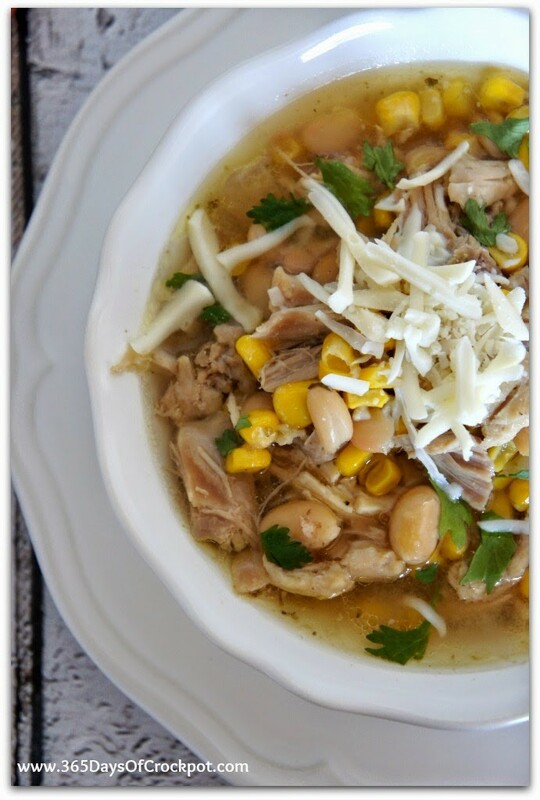 A super simple crockpot version of white bean and chicken chili. It takes just minutes to get started in the morning and is ultra satisfying. Top with mozzarella cheese, cilantro, tortilla chips and avocados for a delicious one-pot meal. This is an updated post from July 2009! My sister, Alicia, is the original author of this recipe. I updated the recipe a bit and added new photos. 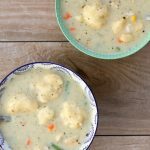 In some parts of the country it’s starting to cool off a little bit and the best thing about that is getting to eat soup again! 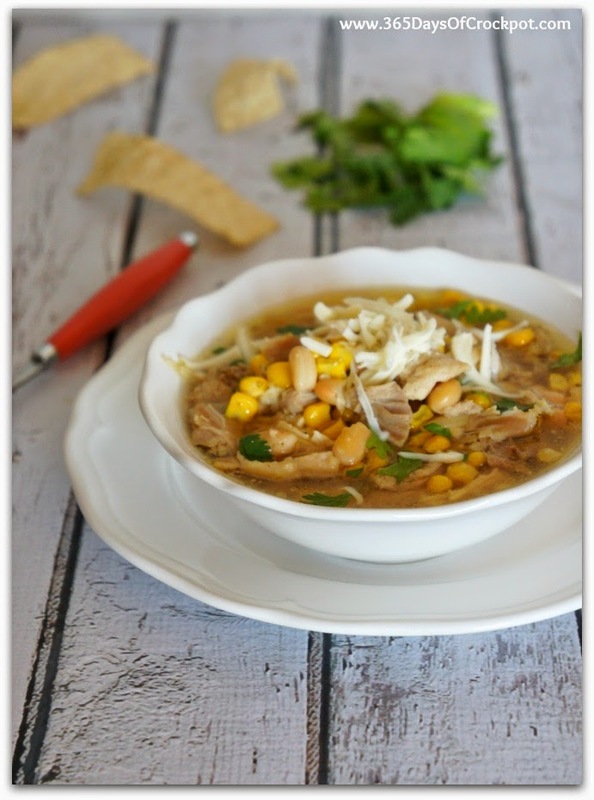 My whole family loves soup and I love to make it because it’s so easy to dump everything into the slow cooker and let it do the work. This is a super easy chili that takes no sauteeing or extra steps. It has a Mexican flare thanks to fresh lime juice and cilantro. Although not pictured we served ours with diced avocados and it was perfect! 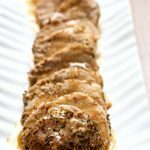 I used chicken thighs (I buy the big bag at Costco for less than $2 a pound) in my version but if you just have chicken breasts on hand they’ll work too. 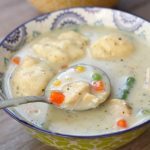 Chicken breasts can sometimes get dry in the slow cooker but when surrounded in liquid (like in this soup) they seem to do okay. 2. Cover and cook on LOW 4-6 hours. cutting board. 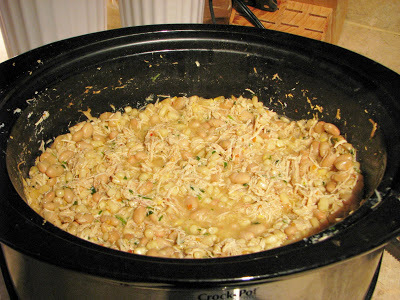 Stir the shredded chicken back into the soup. 4. Add in corn and lime juice. Let cook on high for another 10 mintues until corn is heated through. 5. Ladle into serving bowls and top with cilantro and mozzarella. And just for fun, here is the original picture from 2009. Shoepeg Corn is NOT just a "White Corn"….WHITE CORN" is White Corn! This was fantastic! 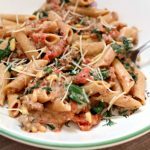 I've tried several recipes from your blog and this is one of my favorites. I made it without the cilantro. 5 stars from me! Yes, red pepper is different than crushed red pepper flakes! I'm sure that's why it was so hot. I have a question about shredding meat. 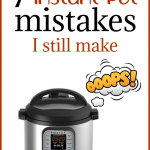 I always just throw frozen chicken breasts in the crock pot and then put them on high because I need them done faster. I can never shred my chicken as much as it is in the picture. Is it because I'm not cooking them on low? Or maybe I just don't take the time to shred enough. I'm not sure. I made this soup and would give it a 3 1/2 stars. We added sour cream and chips and that made it even better. So I tried this with very high hopes. We LOVE all things spicy, but I'm wondering if I used the wrong stuff in this. I used 1 tsp ground red pepper, and HOLY hotness. Are crushed red pepper flakes different? I think I messed it up. My baby wouldn't go near it. Thanks for the recipe. Let me know if I am spice-ignorant. Thanks! 2.5 stars as I made it. shoepeg corn is white corn. I found it in the next to the yellow canned corn. That would be awesome if I could do a print link. I'll have to look into it! Thanks for the idea. Just saw you on Good Things Utah. This looks very yummy! 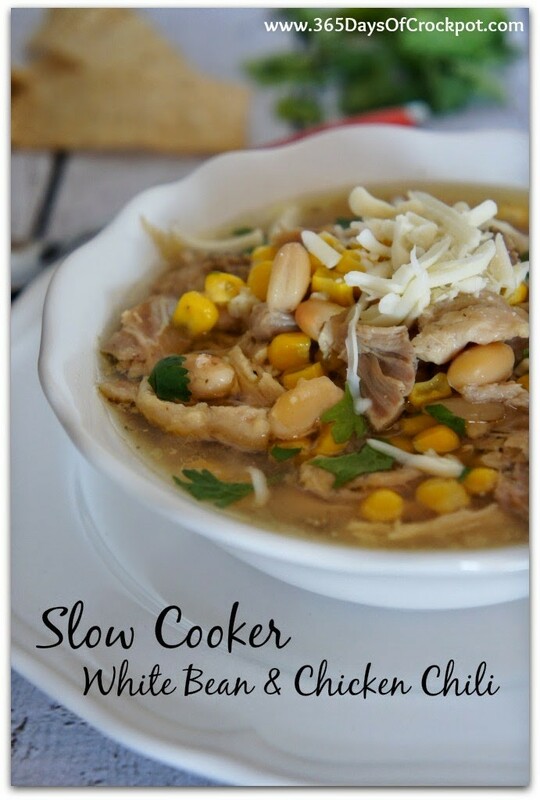 I will definitely be trying this recipe in the next week. I do have a question. What is shoepeg corn? 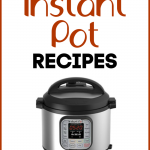 and are you able to add a "print this recipe" link on your blog? It would be so helpful. Thanks for doing this blog!